This is not your average GossipGirl headband! This lovely headpiece is sophisticated and gorgeous to wear at your next stylish party! 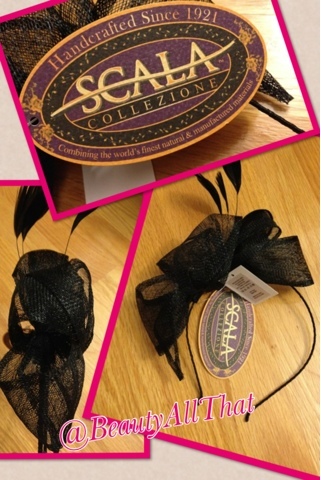 I absolutely love this Fascinator from the Scala Collezione collection because it's durable and affordable. The feather is chic and it is basic black so goes with lots of outfits. Popular since the Royal wedding, this royalty wear is simply stunning. What will you be wearing (on your hair) this Holiday?